Hawksbill Cay in an uninhabited cay and part of the Exuma Cays Land & Sea Park. It has moorings, trails, beaches and snorkeling areas. The Park is a special place to cruisers; many return year after year. If you are a member of this group, you will want to do something extra to support the Park: Ways for cruises to support Exuma Cays Land & Sea Park. Anchoring is not permitted to interfere with the mooring fields. ECLSP is a special place to cruisers; many return year after year. 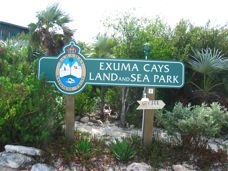 If you are a member of this group, you will want to do something extra to support the Park: Ways for cruises to support Exuma Cays Land & Sea Park. There is an old well on the cay but the potability of the water should not be trusted.